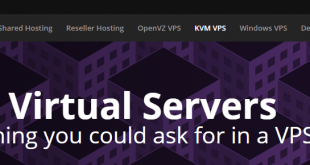 Virtual6 provide industry leading virtual private server solutions (Also known as VPS or Cloud) to consumers and businesses across the world. By utilizing free to use software such as Debian and KVM and partnering with the industry’s biggest datacenters we are able to provide high resources and most importantly, reliability to anyone who chooses to host with us. We offer services in both Europe and North America, providing excellent coverage and low latency across the world, allowing you to get closer to your customers, target audience or network. Deployed and online within one business day subject to stock!